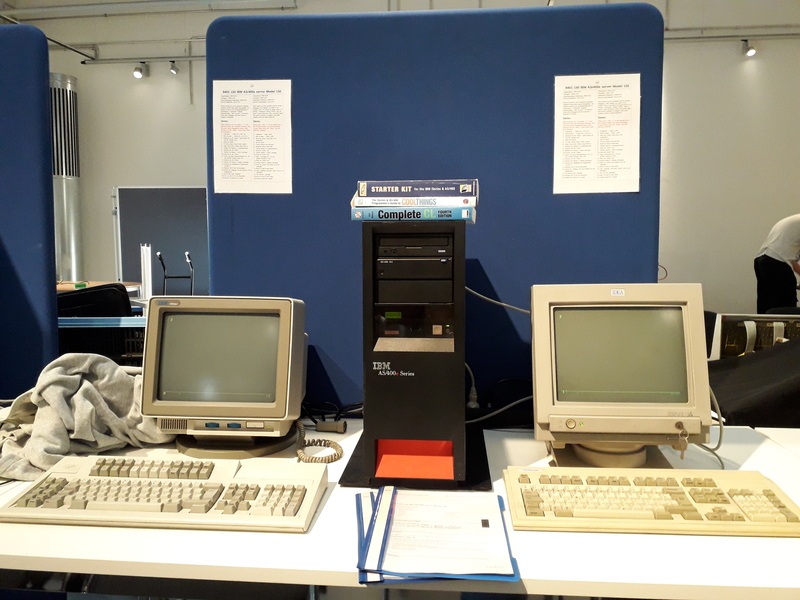 On the 13th and 14th of October 2018 I was showing an AS/400e (model 9401-150) during the VCFB (Vintage Computer Festival Berlin). There was a lot of interest from the visitors for a computer system that looked familiar (screen, keyboard, system unit) but was completely different from what they were familiar with. It also became clear that computer history is becoming more and more important, since the amount of computer history is starting to grow. 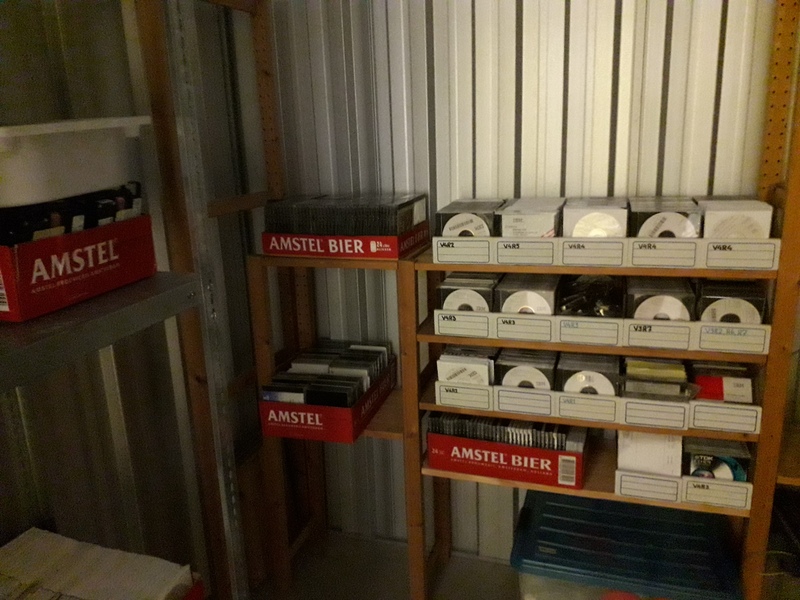 I had thought about starting an AS/400 museum before, but, you know, other stuff happened. Not to mention the fact that I had only 2 systems to show. This time I decided to go ahead anyway. A few days later I met up with a friend who has been working in the AS/400 world since the AS/400 started back in 1987. 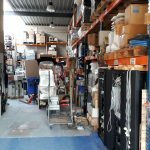 He had a complete warehouse full of stuff, gathered through the years. 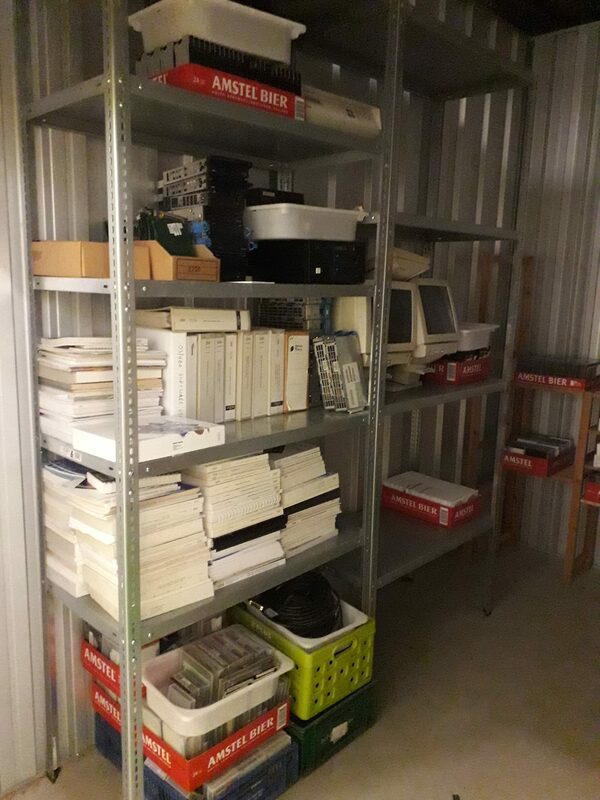 Everything from AS/400 systems to iSeries, to actual IBM Mainframe systems (Multiprise) and he was able to give me an incredible amount of stuff that would be worthless today, but had a lot of historic value. Because we have a child in a wheelchair we also have a for wheelchairs adapted van with a ramp in the back for ease of access. 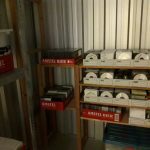 My friend had several warehouse trolleys full off stuff (books, hard-discs, tapes, CD’s). I was very grateful for this tremendous gift as this would be enough to for starters claim to be a real (start-up) museum. 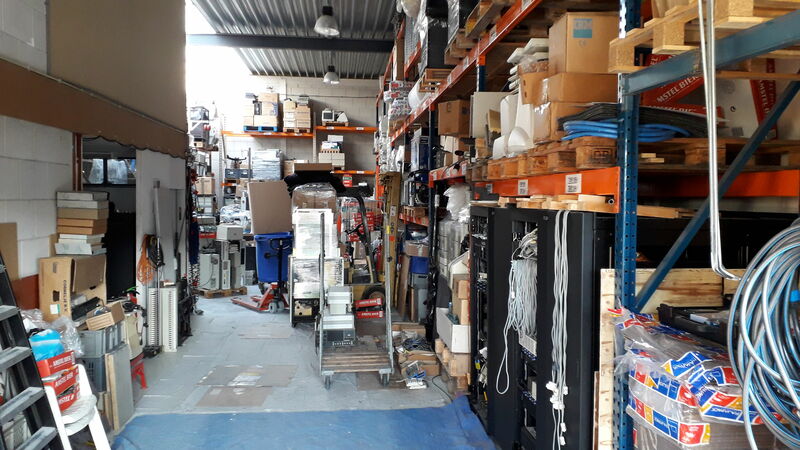 There were even some old terminals in there, some nice external dual Exabyte tape drives, twinax cables galore and a lot more. I was a happy guy. There were even 2 “portable” P03 models in there. 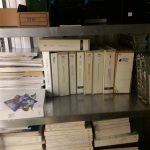 They looked like a sunday afternoon project but my inventory of AS/400 systems doubled that day! 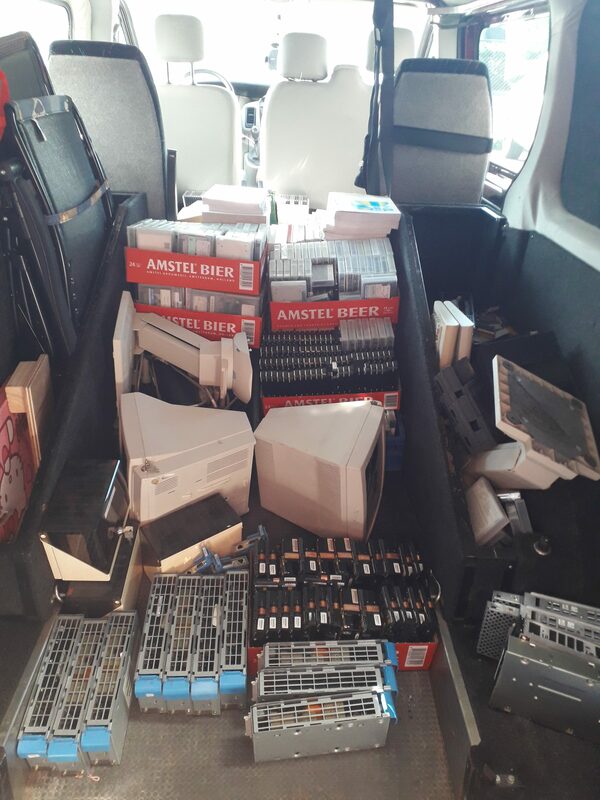 So I put everything in my van. It was actually quiet a load and a lot of work, but now the museum could be started! 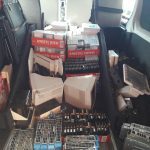 It was a one hour drive back home but with the load in the back it was also a careful drive. The next challenge was, where to put it all. 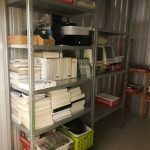 I was already renting a small storage space near my house. So I called them that same day and explained the situation. 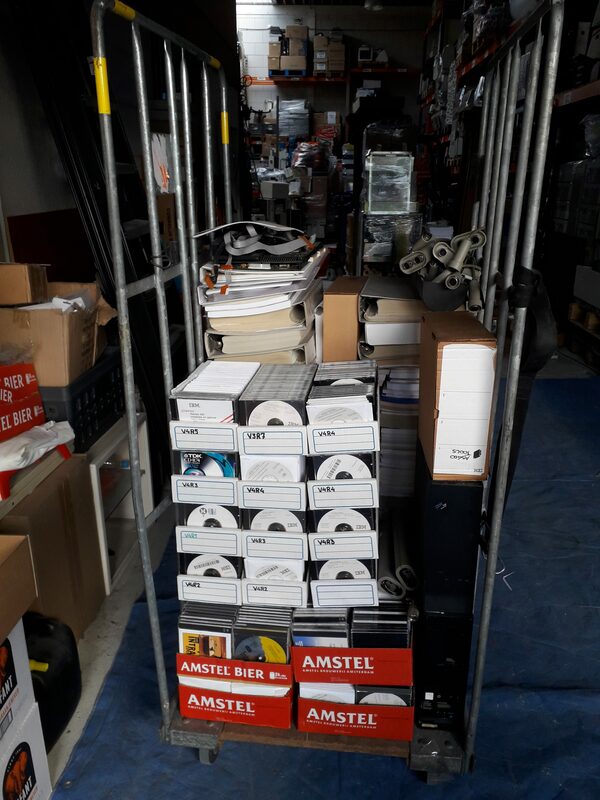 A few hours later I could relocate all my previously stored stuff, together with all this “new” stuff in a bigger storage space. A day with a real workout. But, let’s face it, I could use one :-). So, the end result for now: two racks with lots of stuff. I wonder what will happen next…..
After registering this domain I put out a small project description on Fiverr for somebody to tweak the theme to be more lika an AS/400 system. That is, green on black. About a month later (end of November 2018), I visited my friend again. 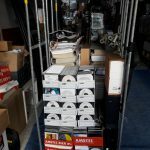 This time he donated a lot of original computer tapes wit historic software. Three of those actually containing OS/400 version 1.0! 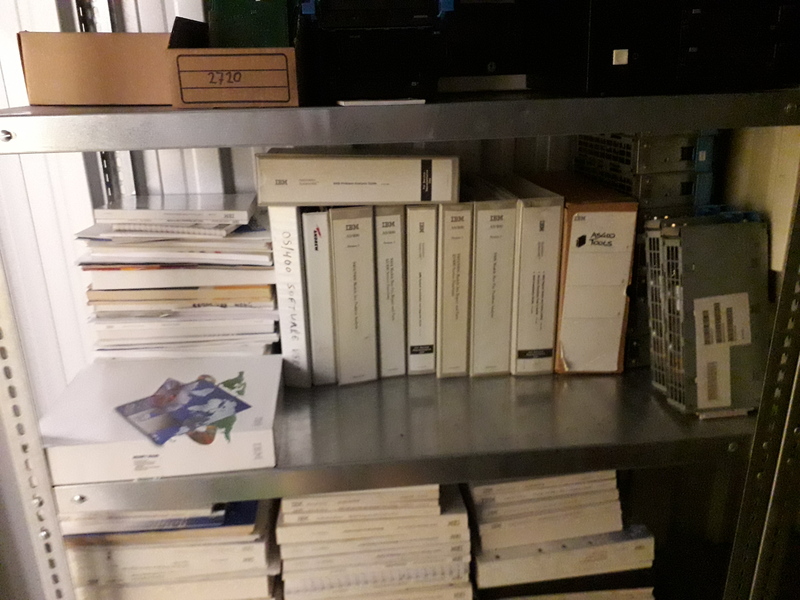 I also got a few very nice AIX boxes, but without AIX software they are better put to use installing Linux and making demo systems out of them.